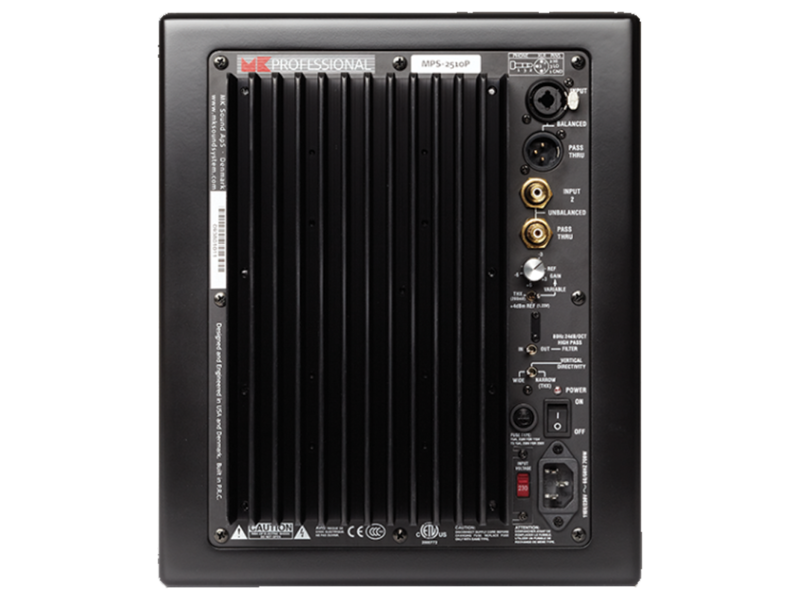 For environments where stand-mounting or desktop placement is not an option, M&K Sound offers MP150, an On-Wall configuration of our state of the art S150 THX ­Ultra2. The new MP150 now features the ultra-low compression tweeter as used in the M&K Professional Monitors as well as in the legendary S150. With the “Professional” tweeter aboard the MP150 offers exactly identical components, drivers and technologies in order to deliver the same uncompromising sound quality heard in recording studios and post-production facilities worldwide. Premium home theatre systems require large rooms, cinema-style seating and a battery of electronics, right? Wrong! This home theatre, neatly integrated with the lounge section of an open-plan ground floor in a compact townhouse, keeps its highly discerning movie buff and music lover owner smiling – and with good reason! 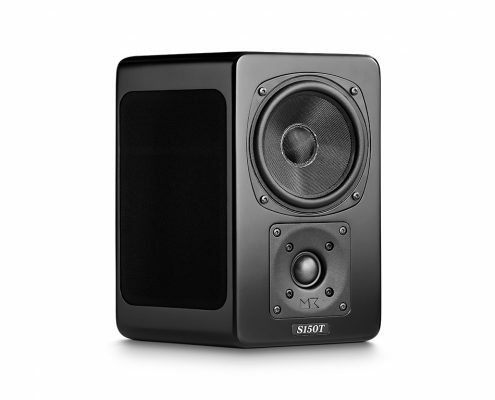 The first true update to the classic M&K S150 speaker, the new Miller & Kreisel S150 redefines sound quality and performance. 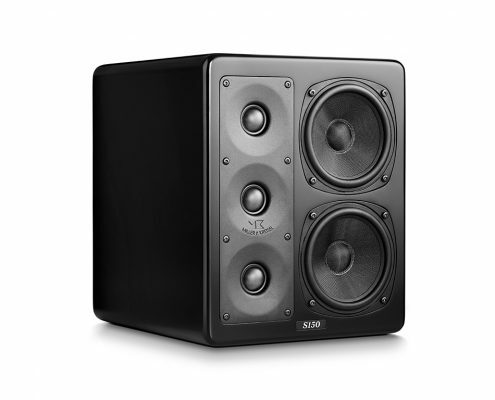 The S150 is still the speaker to beat when it comes to reference monitors for professional cinema sound design or stereo recording. The new Miller & Kreisel S150 builds upon that impressive legacy by updating the design with new acoustic technology refinements. It’s hard to beat perfection. That’s why we’ve strived to perfect it. We’ve taken the innovative high-performance technologies from the S300 and integrated them into the new Miller & Kreisel S150. These upgrades bring the Miller & Kreisel S150 into the future and deliver new levels of sound quality to the most demanding customers in the world. No coloration or hyped frequencies. What you hear is what you get. The Miller & Kreisel S150 redefines what perfection is while providing a clearer sense of presence. 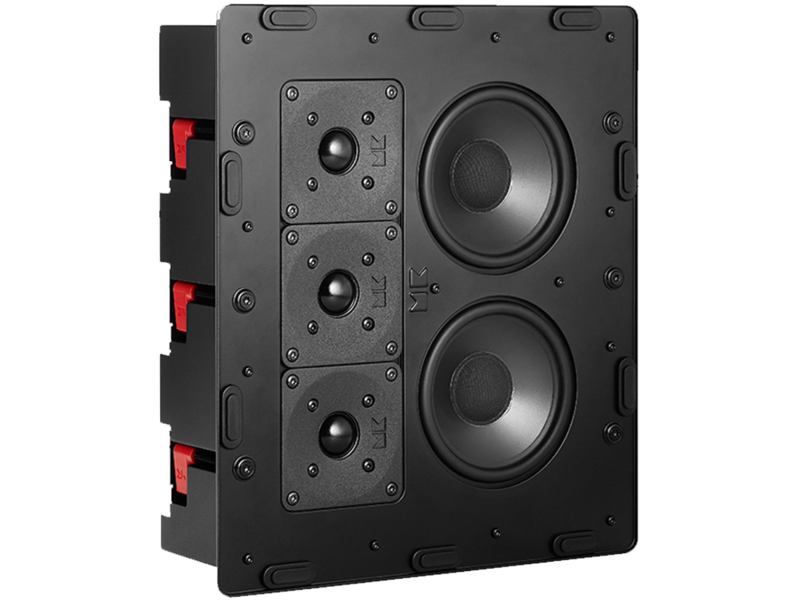 They deliver an impressively transparent soundstage that maintains the three-dimensionality, body, weight and emotional impact, ideal choice for home theater installations. Created using the technologies, innovations and learnings from the newly redesigned S300. Selected components derived from 300 series. 28 mm high-precision coated soft dome. One-piece heavy duty cast aluminum Triple Tweeter Array plate. Specially constructed resonance-damped tweeter magnet-system for precise transient control. New extra-stiff coated fiberglass cone with special M&K profile geometry. Vented pole piece in magnet system for low compression performance. Vented voice coil for low compression. New proprietary M&K Sound interconnect cables. The exclusive, custom designed MK Sound 5.25” bass/midrange drive unit represents the culmination of over three decades of intensely focused transducer design. 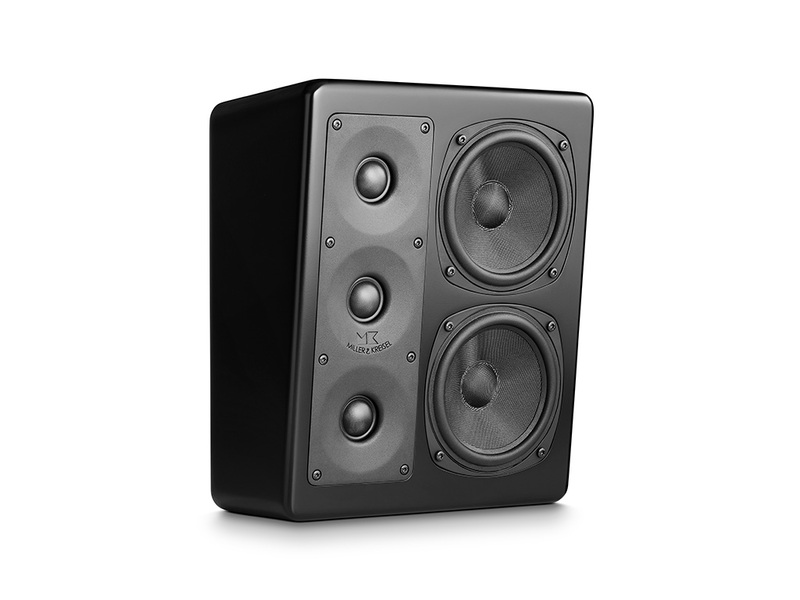 While most loudspeaker manufacturers make specious boasts that their drivers are “heavily modified to their specifications,” the drivers used in the MK Sound 150 range are in fact designed in-house by full-time engineers that have been instrumental in the design of MK Sound transducers for more than two decades. 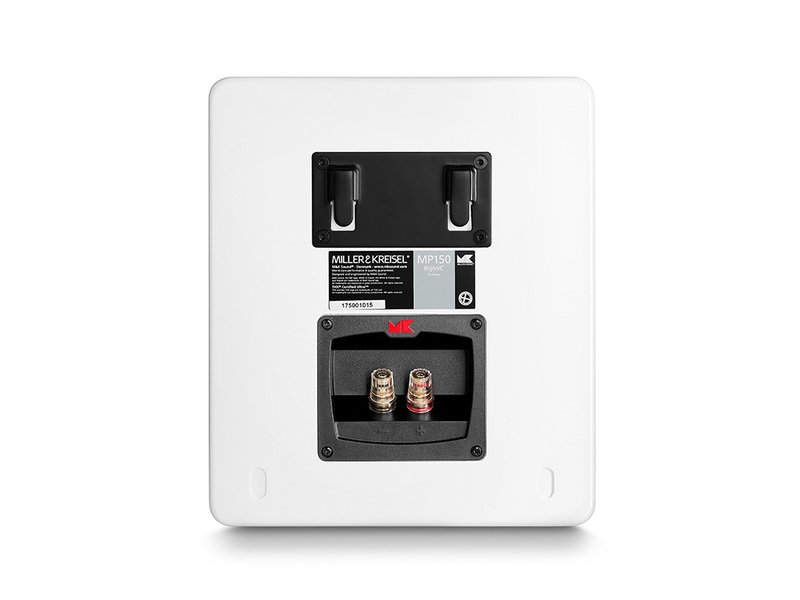 Because MK Sound alone dictates the specifications for our drive units down to the very last detail, based on extensive original experimentation and research, our loudspeakers are not subject to the changing whims and fads of standard off-the-shelf drive units. MK Sound proudly works to a higher, stricter standard, implementing meaningful changes as technology advances. 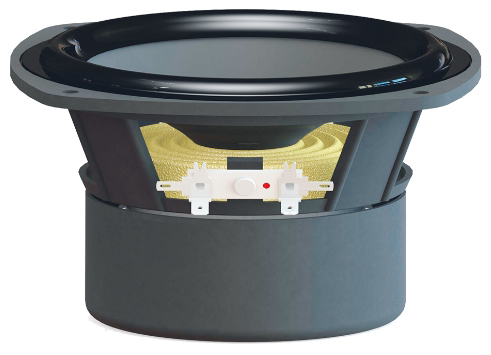 The dual 5.25” 150 woofer configuration employs a pin-cushion basket design with narrow basket flange to permit close placement of two woofers on a compact baffle. Modest baffle dimensions ensure structural integrity, while eliminating destructive diffraction phenomena. A completely open cast aluminum basket structure with four solid pillars allows unimpeded airflow on both sides of the cone and around all moving parts for immediate heat dissipation. Unlike conventional baskets designed with a plateau for spider mounting, the MK design team opted for a cup spider design, ensuring absolutely free airflow. The development of cone and surround, crucial components with major impact on ultimate sound quality, was a collaborative effort with Peerless, leading Danish transducer specialists intimately familiar with MK Sound’s design objectives after decades as supplier and partner. 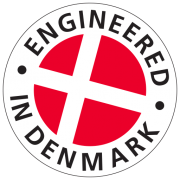 Working closely, MK Sound and the Peerless transducer team (Among the world’s foremost transducer designers, Peerless was founded in Denmark in 1926.) developed a breakthrough cone geometry, optimized to work in combination with a unique polypropylene based diaphragm material. The Polypropylene base, infused with 20% carefully selected minerals, provides a perfect balance between cone stiffness and internal damping. 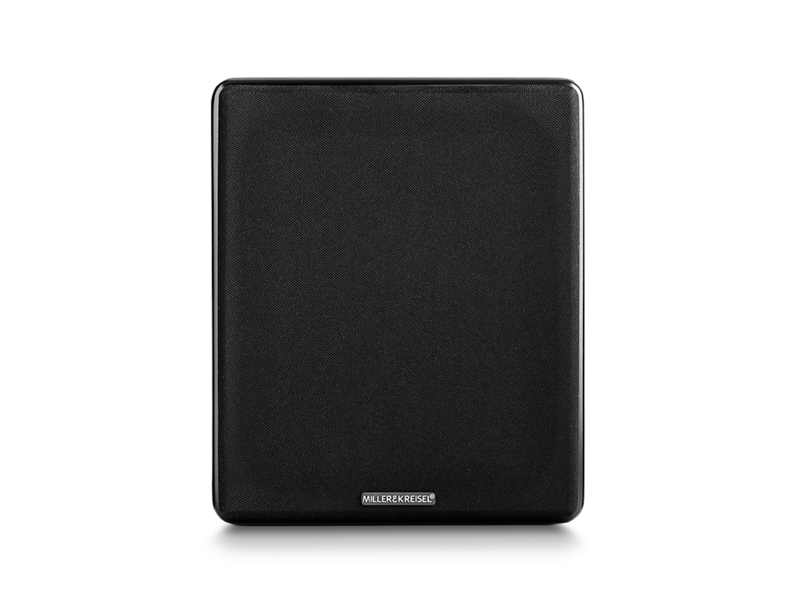 The woofer’s low reflectivity cone is the result of a carefully calibrated combination of materials and geometry with a low-loss SBR rubber surround and edge resonance stabilizer. The cone geometry follows a straight line for the surface area beyond the dust cap with a small radius shape under the dust cap. As the earliest cone break-up modes generally occur close to the voice coil, the advanced mathematics underlying the cone geometry provides substantial attenuation of travelling waves well before they reach the edge of the cone, resulting in significantly reduced edge resonances. 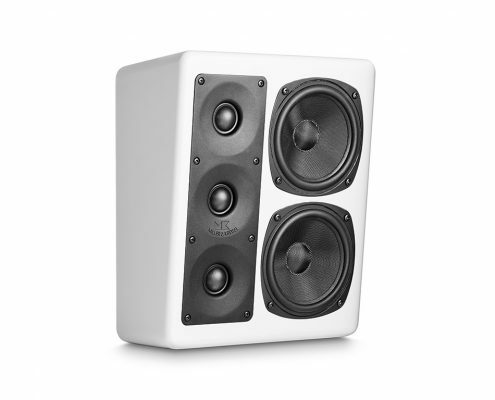 The unstrained clarity and sonic purity that have been the hallmark of the MK Sound 150 range from the very beginning are in large part a direct result of this conscientious, innovative design work. 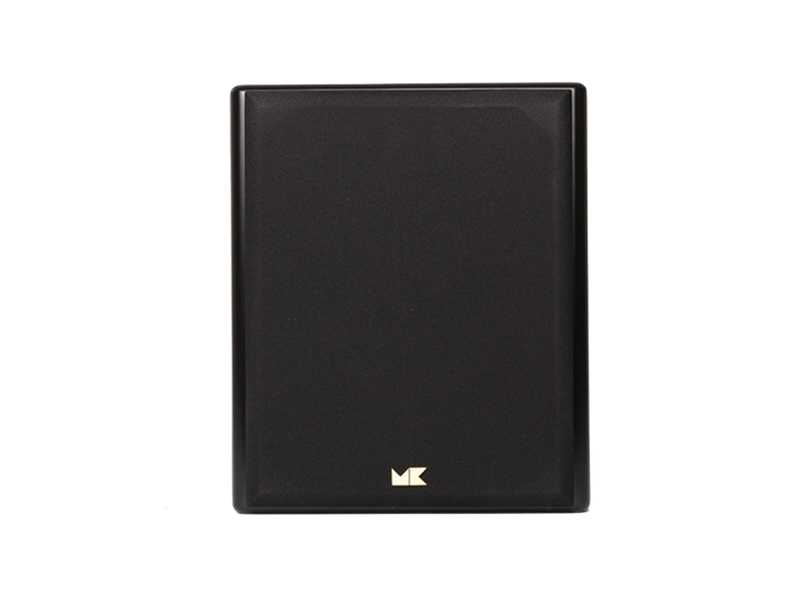 The MK woofer features a thermally stable voice coil wound on an aluminum former. The former ensures linear damping for strict system control even at high sound pressure levels. 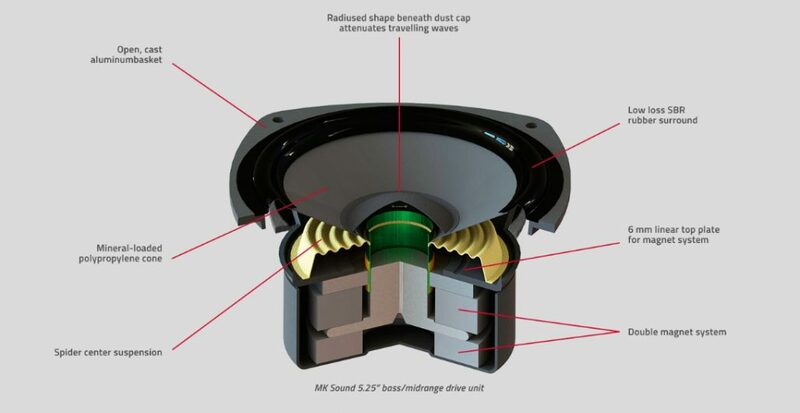 The thermally stable voice coil, capable of operating at up to 250 degrees Celsius, is symmetrically mounted in a strontium ferrite magnet system to function as an overhung coil in the gap, for reliable, consistent handling of powerful transients and sustained high output. Unlike most magnetic materials that lose power at temperature extremes, the MK Strontium magnet retains full power across a broad temperature spectrum. The magnet system generates a linear magnetic field across the full coil length even at maximum excursion (+/- 3.5 mm), for minimal distortion all the way up to the driver’s maximum output levels. A shielding magnet and can are added to minimize stray field emissions and to focus additional flux in the gap. These uncompromising methods ensure that the driver continues to meet its strict performance requirements for years to come. 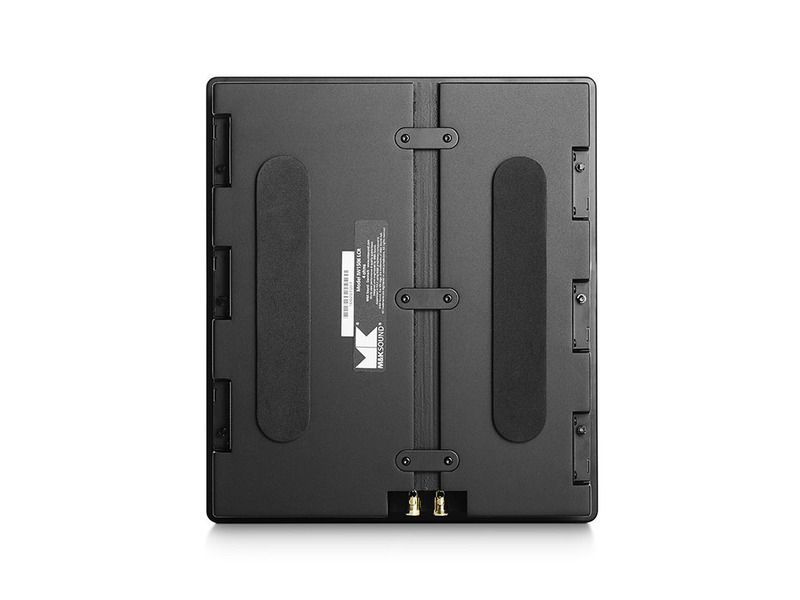 With a mere 8.5 gram of moving mass, the MK Sound bass/mid unit is capable of lightning fast, accurate response across its entire operating range with a firm grip even on the most complicated program material. 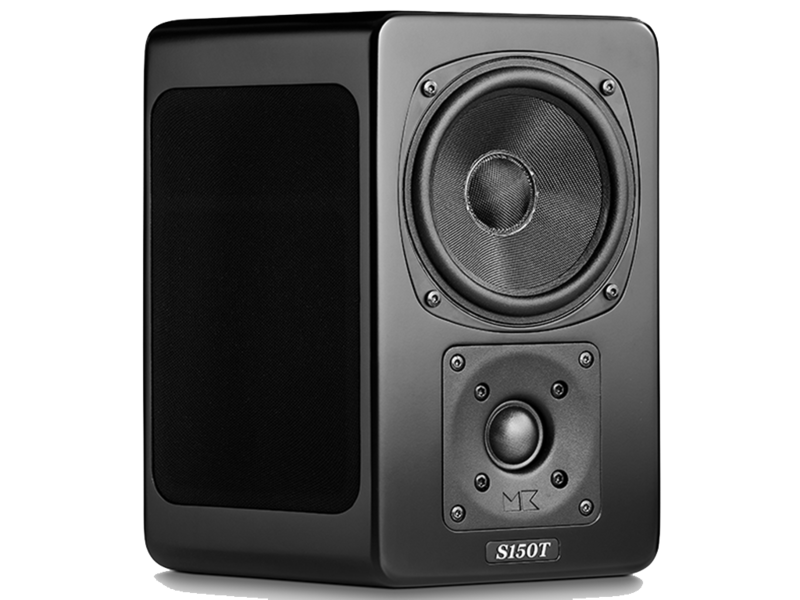 It is this extreme level of precision and effortless, natural sound reproduction that continues to make the MK Sound 150 range the choice of professionals and enthusiasts. 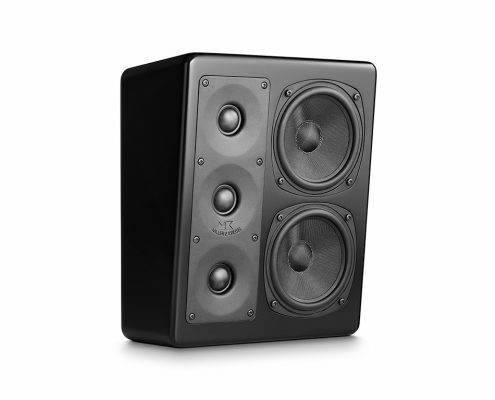 What this updated version of the legendary studio monitor does in the conveyance of exactly what is there in the recorded source, no more and no less, is difficult to formulate in just a few words. Essentially, it does pretty much nothing, except open up a wide, clean, clear window on every aspect of recorded sound, allowing you to shift your personal focus as you choose between specific details, instruments or voices, while never losing sight of the totality of the overall musical experience. With no additive or subtractive effects, it maintains the full integrity of the source, making it possible to listen with uncanny precision into the recorded event, to experience the intricate interplay of performers, the subtle tonal shadings and timbral nuances that bring you to the emotional core of the performance. Questions of greater suitability for music or movies or for specific genres fall away, as these speakers simply lay out the unveiled, uncolored truth of any source with a scintillating realism and naturalness Extraordinary dynamic capabilities, effortless presentation of complex rhythms, linear frequency response and temporal integrity make the Miller & Kreisel® S150 THX Ultra2 a true joy to listen to for serious sessions or just for pure pleasure. 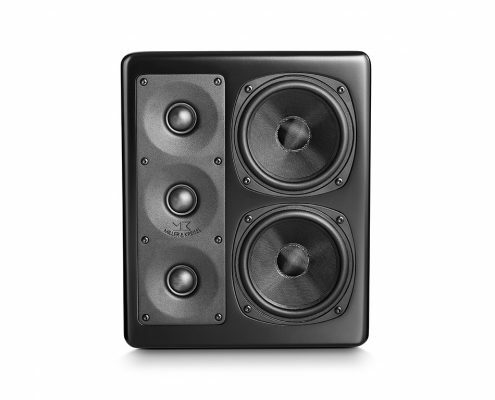 For the ultimate, revealing, tell-all listening experience, M&K Sound offers a self-powered reference monitor with separate onboard Class A/B power amplifiers for each driver section. 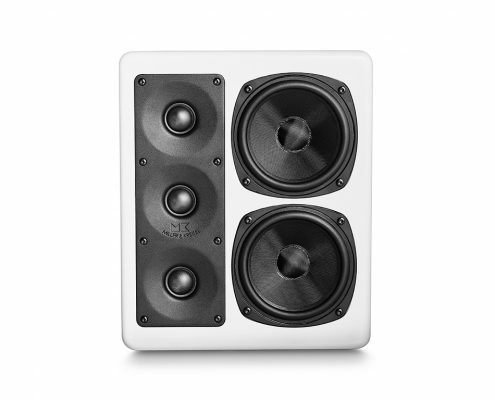 Internal bi-amplification means isolated, clean power for each speaker as well as for each high and low frequency section with no interference. Physical separation of the amplifiers for each speaker pair eliminates any possibility of undesirable interaction between the two channels such as crosstalk, etc. 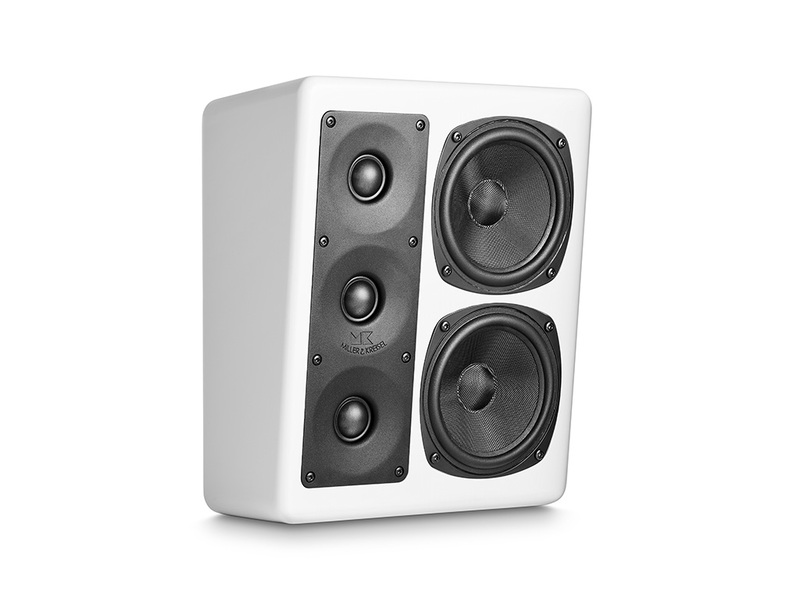 As an active monitor, MPS2510P effectively eliminates the final, insurmountable unknown of loudspeaker design: What size, quality and type of amplification will be used to partner it? 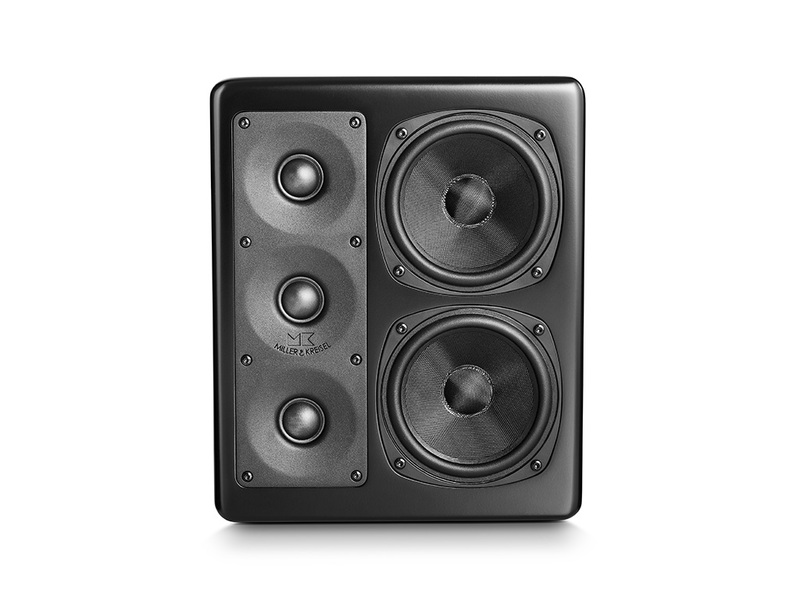 The performance advantages of assembling drivers, active crossover, cabinet and amplifier to work together as a unified system are enormous and bring with them corresponding practical benefits, eliminating costly amplifier enclosures, speaker cables and the need to make space for amplifiers in the listening room. 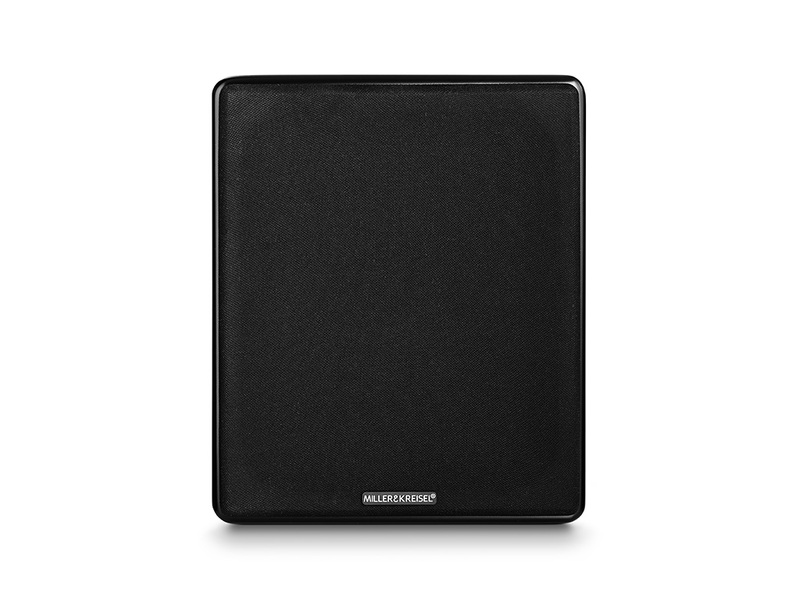 Coming from the M&K Sound pro monitor range, MPS2510P incorporates useful room integration and connectivity features, including variable vertical directivity and a throughput for connection of multiple speakers per channel or for direct subwoofer connection. 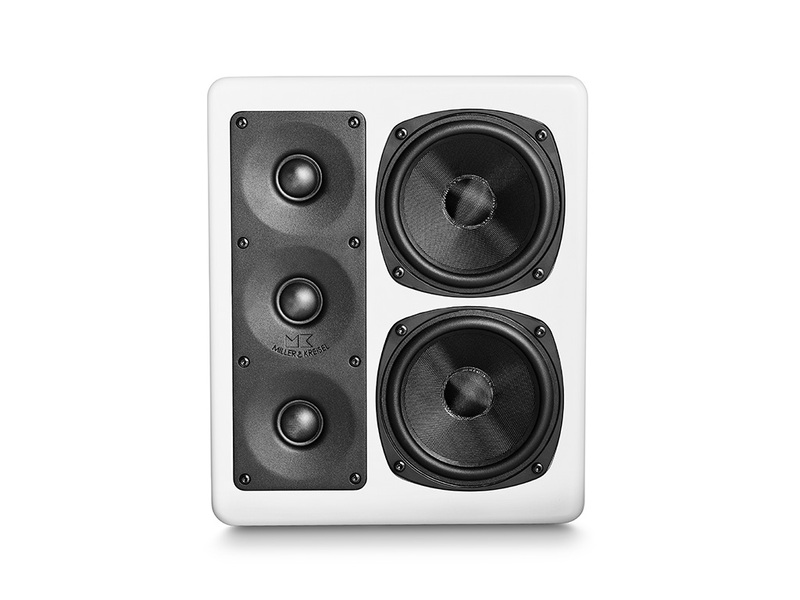 Occupying less than a single cubic foot, the compact M&K Sound 2510P system produces amazing output levels with tremendous clarity, extraordinary dialog intelligibility and sublime musicality. 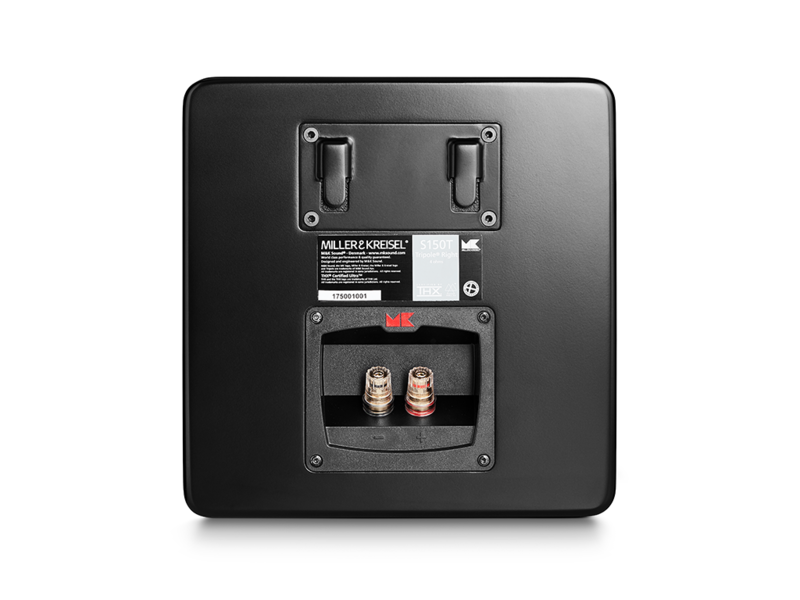 For environments where stand-mounting or desktop placement is not an option, M&K Sound offers Miller & Kreisel® MP150, a wall-mount configuration of our state of the art Miller & Kreisel® S150 THX ULTRA2. 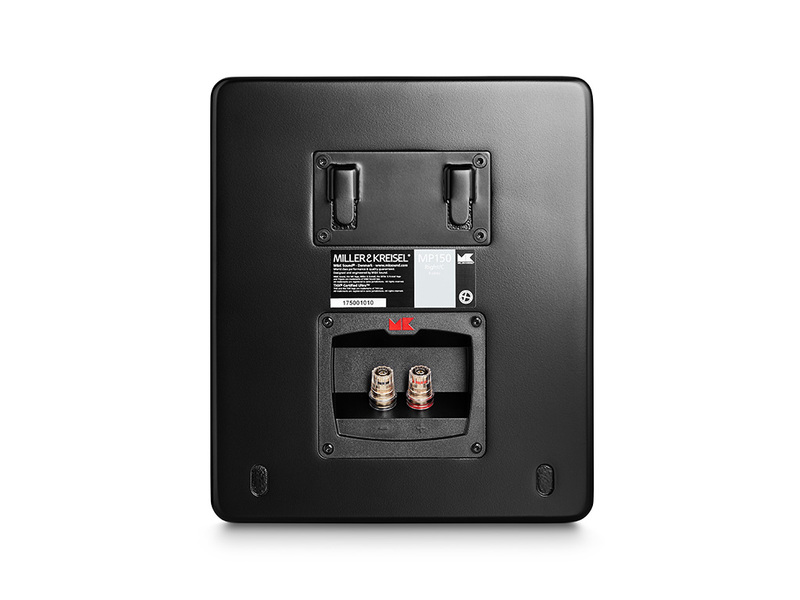 The new Miller & Kreisel® MP150 now features the ultra-low compression tweeter as used in the M&K Professional Monitors as well as in the legendary Miller & Kreisel® S150. With the “Professional” tweeter aboard the Miller & Kreisel® MP150 offers exactly identical components, drivers and technologies in order to deliver the same uncompromising sound quality heard in recording studios and post-production facilities worldwide. 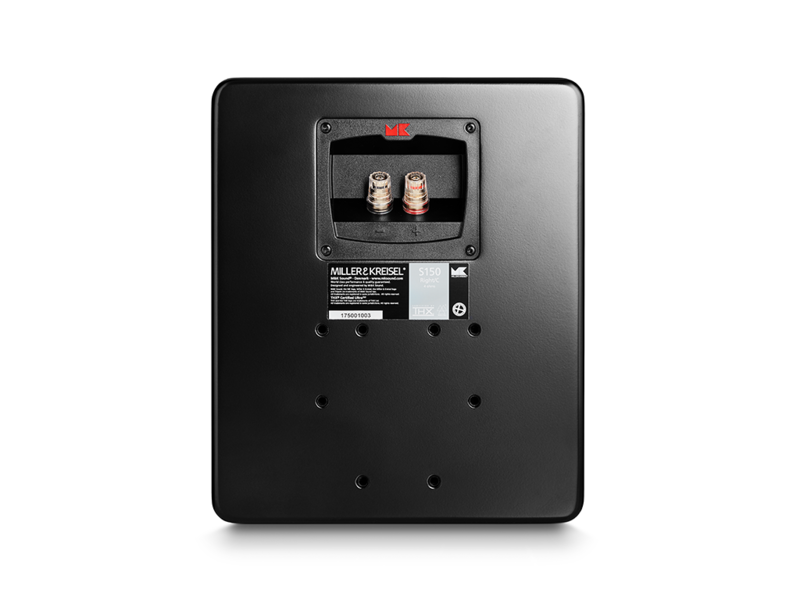 At a mere 10.8 cm (4.25 inches) deep – one-third of the depth of the Miller & Kreisel® S150 THX Ultra2 – this dedicated wall-mount monitor can be installed discretely as an attractive visual complement to any flatscreen television. 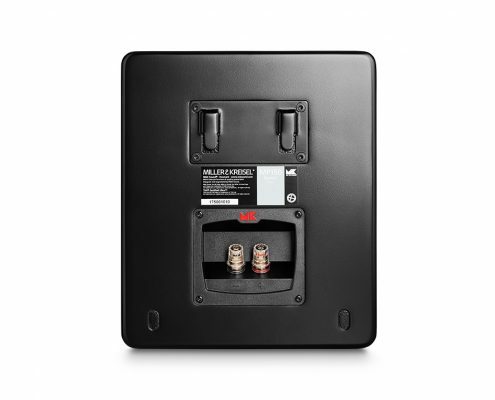 Magnetic shielding allows safe placement next to any television and the elegant integral wall-mounting system ensures convenient and reliable mounting. 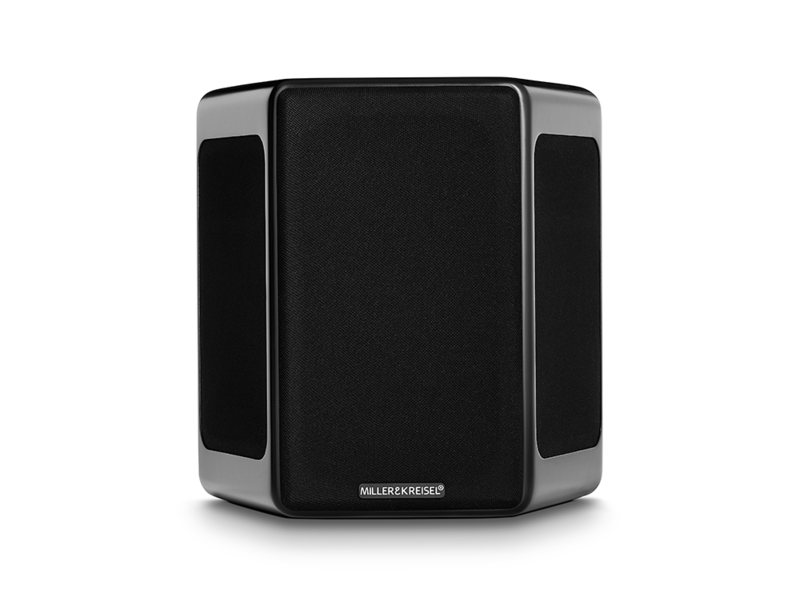 Naturally, the Miller & Kreisel® MP150 is timbre-matched to the full range of M&K Sound satellite speakers and subwoofers for ideal performance and system integration in any system combination. 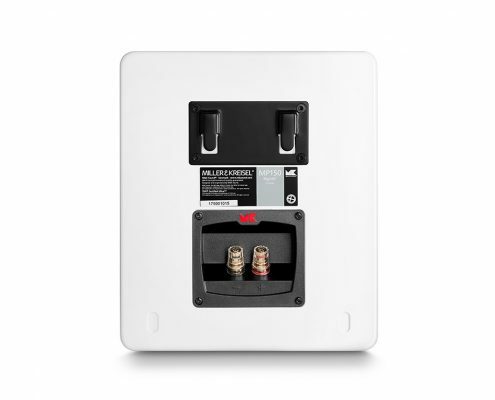 Unfortunately, most multi-channel installations ignore these critical factors entirely and simply employ the same type of direct-radiating monopole drivers that have been the norm for well over a century. 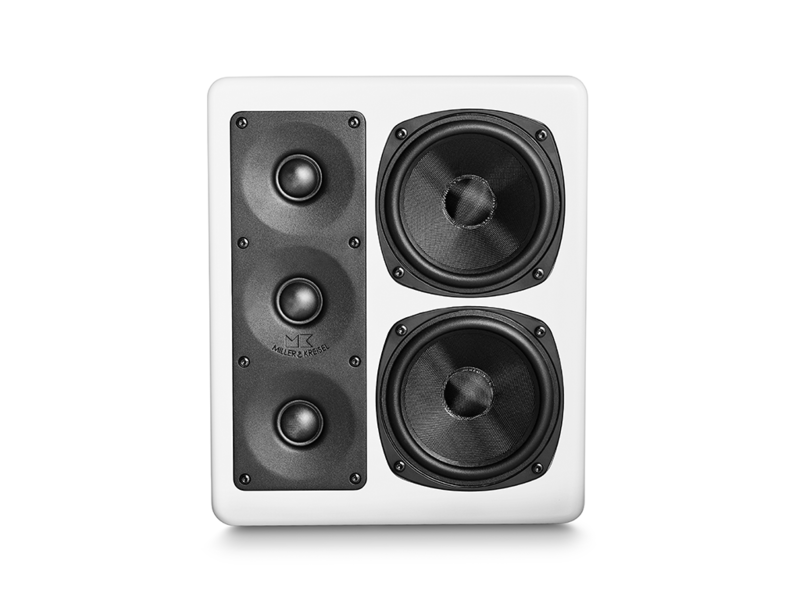 These conventional loudspeakers feature drivers mounted on one side only (monopole) and aimed directly at the listening position. 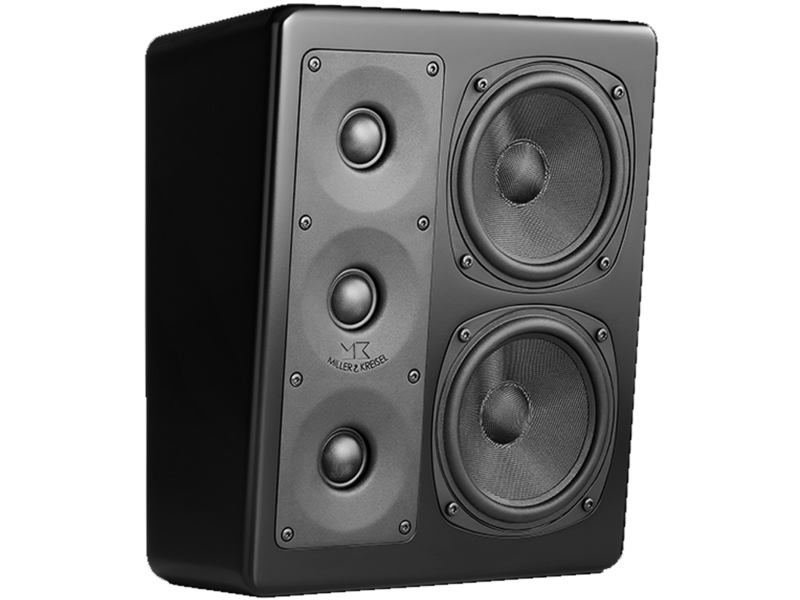 As a result of the close proximity to the listening area, they are easily identifiable as the source of sound, failing to disappear in a credible you-are-there sonic illusion. 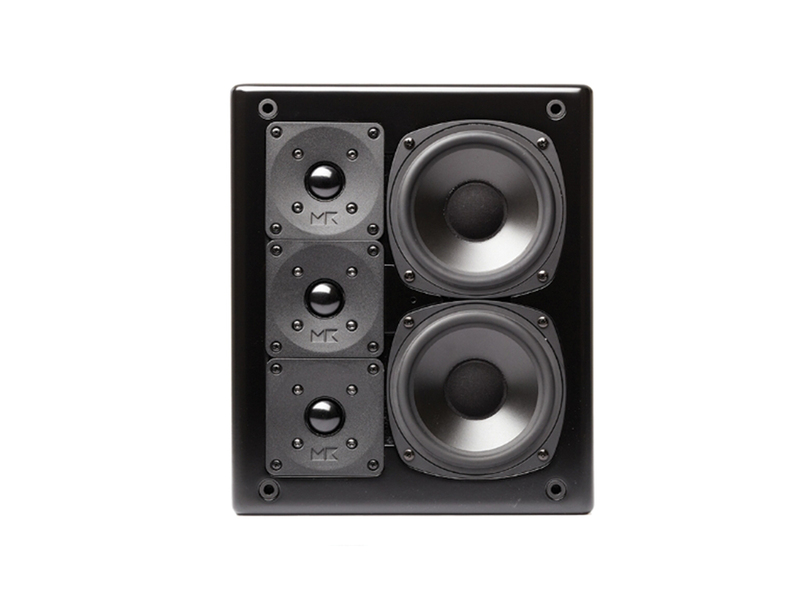 A costly alternative in recent decades is the dipole surround speaker with no drivers on the front directly facing the audience, but identical sets of drivers on two sides. By generating sound from one side in phase and the other out of phase (dipole) with no sound radiating directly at the listening position, dipoles successfully create a diffuse soundfield, but at the expense of any sound actually intended to be heard as a specific image. The proprietary M&K Sound Tripole™ configuration, essentially two speakers mounted in a single cabinet, is the first and only technology to effectively address these major issues to deliver both image specificity and an enveloping surround field, without compromise. 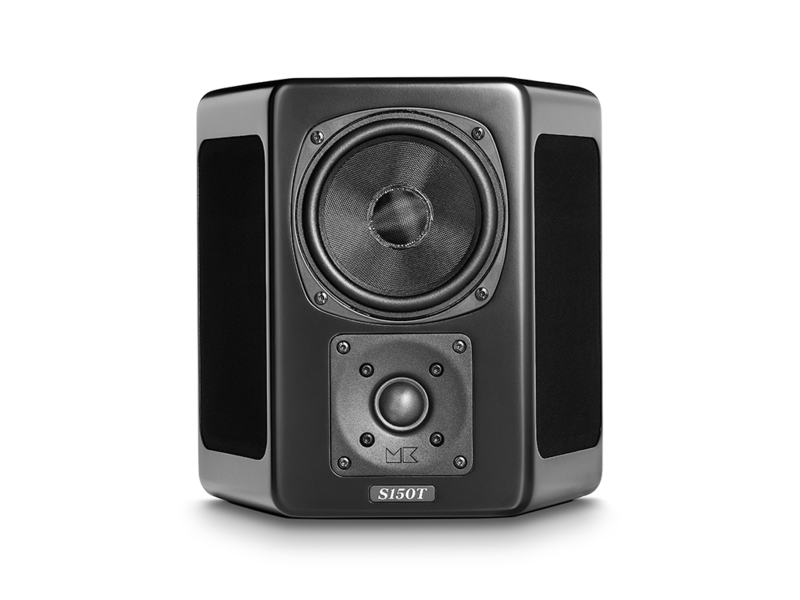 The Miller & Kreisel® S150T THX Tripole™ combines both front and side mounted drivers to direct the surround image both indirectly and directly into the listening area, for a smoother, more robust surround image in perfect harmony with the front three channels. 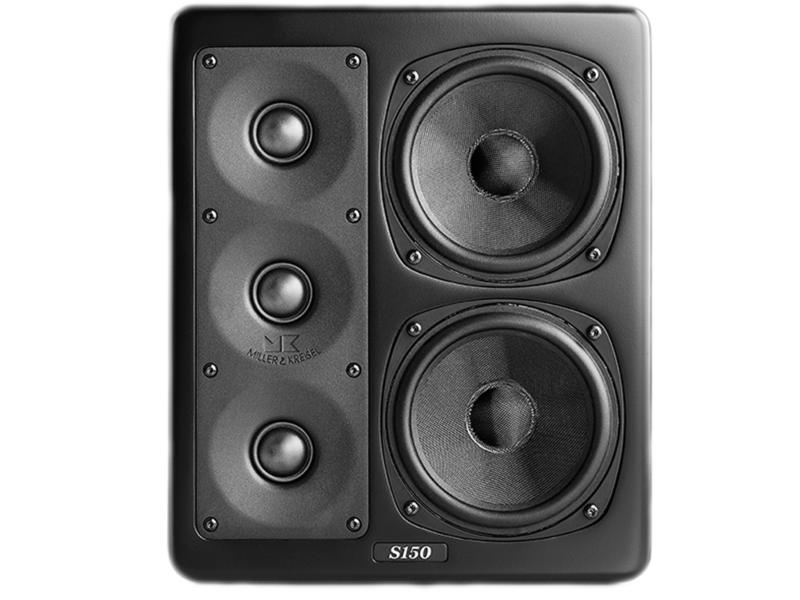 Because the S150T THX Ultra2 Tripole™ employs the same exclusive, innovative high frequency driver as the Miller & Kreisel® S150, THX Ultra2, sonic consistency and voice matching are assured. 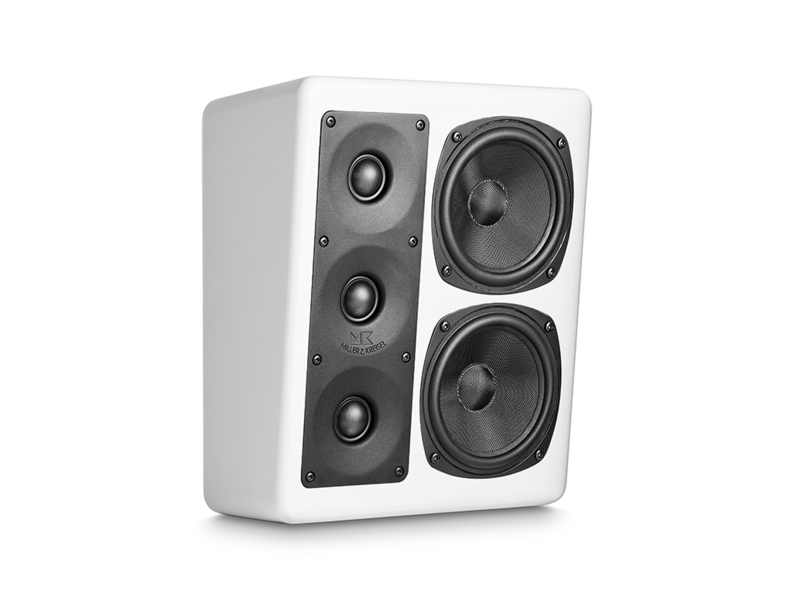 The built-in IW150 offers the sound quality of the world’s most acclaimed studio reference monitor in a virtually invisible alternative configuration with frameless, architectural styling that is every designer’s delight. 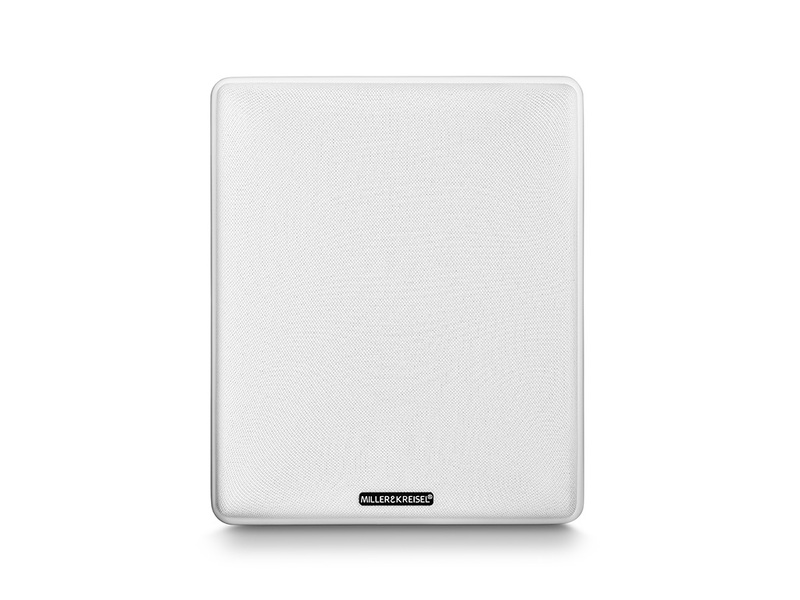 M&K Sound IW150 in-wall speakers incorporate the very same exclusive M&K Sound technologies, Phase-Focused crossovers, proprietary drivers and sophisticated crossovers found in our acclaimed professional and home loudspeaker systems. 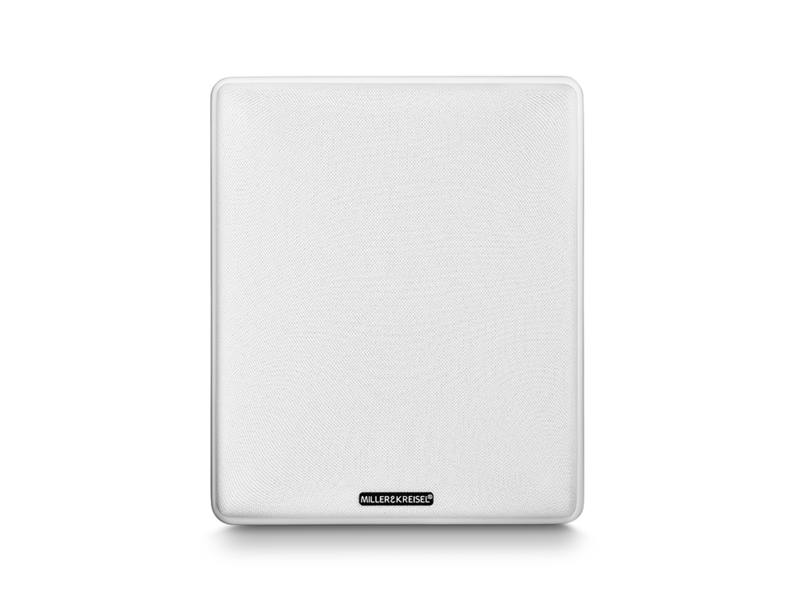 The M&K mounting system ensures quick and easy Installation for elegant concealment with smooth, consistent sound coverage throughout the room for superior imaging in stereo or surround, even when the speakers are installed in the ceiling. 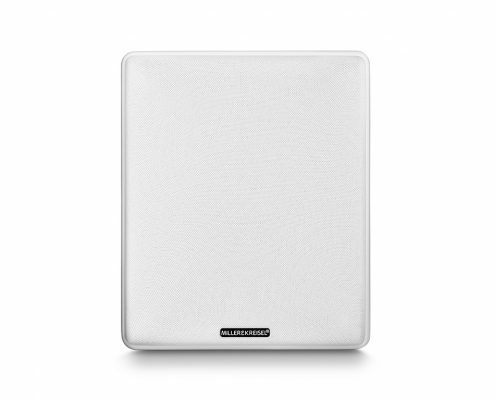 Eliminating the flimsy plastic baffles fitted on virtually all other in-wall speakers, the frameless IW150 employs a heavy steel baffle e that actually reinforces drywall, providing a rock steady foundation. 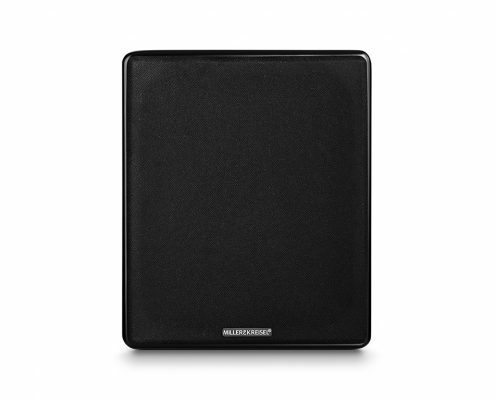 IW150 is voice-matched for use in combination with all M&K Sound satellites and subwoofers.